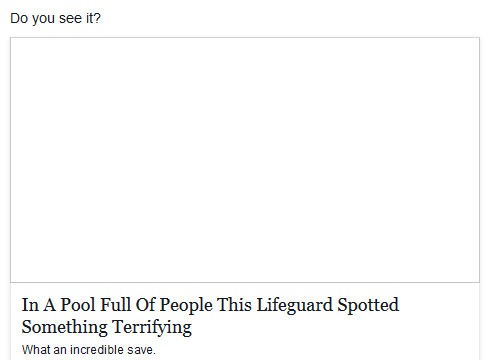 Clickbait revealed | Damian Trasler's Secret Blog - Do Not Read! June hasn’t been a great month for achievements – I haven’t completed my latest play, haven’t published the e-book I’ve been editing for the last six months, haven’t written any new sketches or advanced the DIY projects in the house. Because of this general sense of failure, I thought I’d save other web users a little frustration, and reveal what’s behind some of those irritating clickbait posts – the ones that you know won’t be worth your time, but are phrased so artfully you really DO want to see what they’re about. We all know we’re only being dragged to the site so we can see (and hopefully click on) the revolutionary new diet pill, or weight loss regimen that’s paying to advertise there, but still… What DID those puppies do that was so adorable it would make your heart melt? 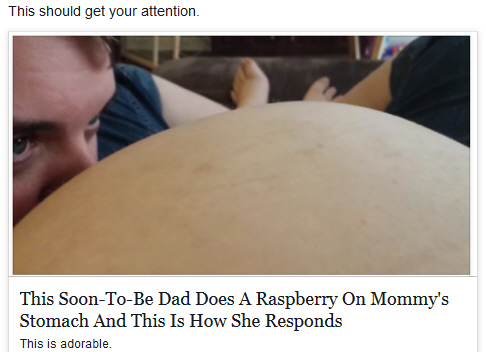 The baby moves away from the raspberry blowing, distending the lady’s stomach. Everyone laughs. The lifeguard saw a boy in difficulty and saved him. 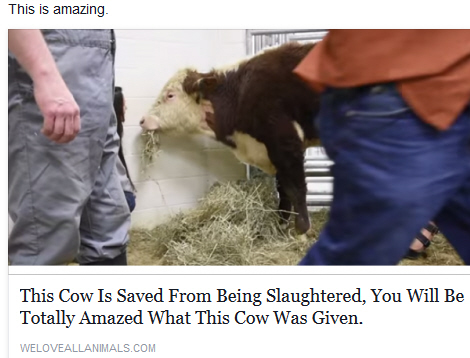 It was given a prosthetic leg. 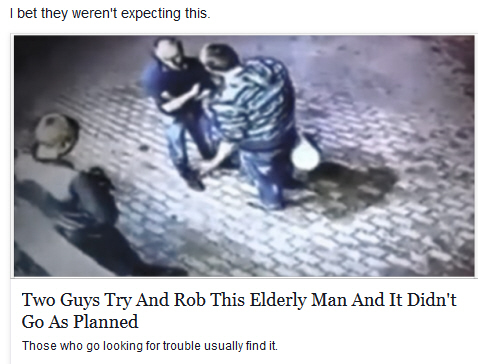 He knocks both of the would-be attackers to the ground and remains unharmed. 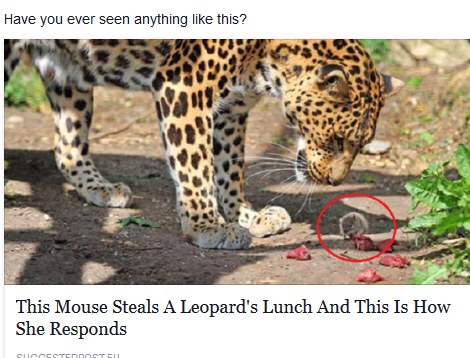 The mouse chews at the leopard’s lunch. The leopard tries to nudge the mouse away, but the mouse doesn’t leave until it has eaten enough. There is a series of photographs of this encounter. As a public service, if you have encountered any clickbait that you’re curious about, but don’t have time to watch, send me the link and I’ll check it out for you, summarize it and publish it in the next clickbait roundup.